Vander turned 4 months a few weeks ago, which feels like a small lifetime in some ways. Being his mom is one of the greatest joys I’ve ever experienced, and it’s also the hardest. I feel like I’ve stepped into a role that I was always meant to be in, while also trying to figure out exactly how. The same is true of my post-partum body. For those counting, I gained a good amount of weight pregnant- 42 pounds to be exact. Ironically, I loved my pregnancy body. My big, beautiful, round body. I couldn’t see my toes after 30 weeks and I loved being able to feel my son as I moved throughout the day. Here’s the truth, I didn’t love my post-partum body. Even though I’ve got a healthy amount of confidence, seeing myself in the mirror for the first time after giving birth felt like I was staring at a stranger. I didn’t recognize myself and I certainly didn’t recognize my body. Who was this woman staring back at me? With sleepless, dark circles around her eyes, cellulite on her legs and an endless sea of stretch marks on her belly. Mentally, I was telling myself that my body had given life! Surely that was an OK compromise for excess skin around my tummy and my much fuller face. And, I know that to be true. It is true. I can know that and still also long for the body I had before I got pregnant. Though, in reality, I’m not sure if she’s coming back. That’s been the hardest concept for me to wrestle with. The idea that I loved my happy weight body before I got pregnant; the place I was in felt so comfortable. I was able to enjoy food (including dessert), exercise because I wanted to (not because I had to), and love the skin I was in. Going back to those same habits now doesn’t have the same effect. Earlier this month, when I was packing for our Florida trip, I had a complete breakdown in my closet. I had been wearing leggings and my maternity jeans for the last two months, with literally nothing else fitting. I so badly wanted to pack my summer dresses, but those were way too small. So, in went the leggings, the oversize t-shirts that I had been living in and not much else. I felt so foolish to be crying over the way I looked; wasn’t I the same person who has helped dozens and dozens of clients improve their relationship with their bodies? It felt like an odd twist of fate to be the one most in need of my own advice. The outfit I’ve lived in since Vander’s been born: leggings, nursing tank, oversize tshirt. And that’s the path I’m currently walking. Focusing on my healthy habits in an attempt to find my happy weight again. To start, I’ve been really focusing on nourishing my body. Motherhood is hard. My time is not my own; finding a 10 minute break for a shower feels like a huge accomplishment some days. Therefore, the idea of spending a lot of time in the kitchen is a pipe dream. The first 6 weeks of Vander’s life was all about survival mode. We had feeding issues, I was healing, and we had just become first-time parents. Food was either delivered, defrosted or microwaved. I don’t own a scale so I can’t be certain, but I’m pretty positive that I gained more weight after he was born. Now that the dust has settled somewhat, I’m back to cooking at night. Instead of pulling out a frozen pizza, I’m working on making meals that make BL and I both feel good. The foods that I’d prefer to be eating, if given the choice: lots of vegetables, plant-proteins and whole grains. The staples of my diet for the past decade, the foods that have been pushed aside in favor of convenience and ease. Standing on the edge of exhaustion meant that I’d happily eat crackers for dinner instead of taking twenty minutes to prepare something more wholesome. I’ve also signed up for morning boot camp classes. BL gifted me a pass for Christmas to a local boutique fitness studio and I went almost every day that first week. I admit, my drive for getting up at the crack of dawn after just a few hours of sleep was entirely motivated by vanity at first. I wanted to lose weight and I thought that jumping back into fitness with both feet would be the fastest way to get there. Fast forward a month and I’m still going to the classes most mornings, though weight loss isn’t my focus anymore. It’s been awesome seeing my body slowly change again; this time to a strong mom. When I lift weights, I’m focusing on increasing my strength to be able to hold V all day. When I jog, I keep thinking about increasing my endurance. I’ve been in the fitness space for half of my life. I started teaching group exercise classes when I was only 18 years old and have enjoyed running, yoga and movement for as long as I can remember. Well, pregnancy changed everything. That first class back, I cried in the car on the way home. Man, that was hard. Doing exercises that once came so easy felt incredibly challenging. I was not only working to love my body, I was working to accept how much things had changed. And that’s where I’m at today. Finding my happy weight again post baby. How many times can I use the word balance to describe my life and not feel like a complete cliche? I’m working on balancing being a mama and a wife; spending time with my babe and going back to work; and loving my new body while also focusing on habits that make me feel my best. I’m sharing this because I know watching our bodies change can be hard. Whether it’s due to pregnancy, aging or life, we will all experience our body shifting at some point. Even if I tried, I couldn’t go back to my high-school body. It’s a fruitless effort to try and get there. Instead, I’m working on things that give me joy. My morning workout classes are quickly becoming my ME time. My pre-dawn hour before I go to work, while BL and V are still sleeping, where I don’t have to think about anything at all. 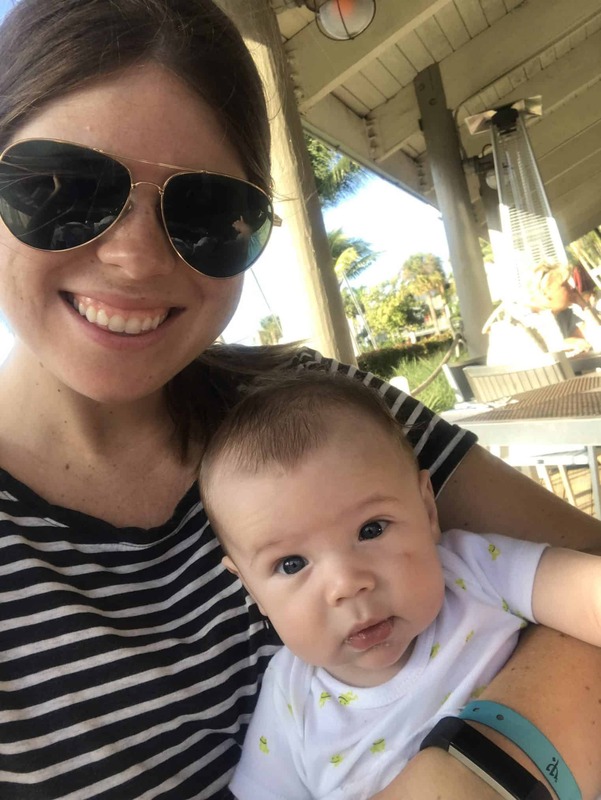 I’ve gotten into a routine of meal planning and it’s not only allowed me to enjoy healthier fare, it’s also helped with my overall goal of family meal time. You are so much more than a number on the scale. In fact, that’s probably the least important part of who you are. That’s the mantra I remind myself of most mornings and I know it to be true. I’m not focused on a number; instead, I’m focusing on happiness. Alex, thanks so much for your honesty and vulnerability. I love this post, as I’m finding myself in that same place of “how can I be questioning my own body changes when I work with clients on this exact process?”. Keep finding those small ways to bring happiness into your life as a new mama–with family meals, exercise or whatever else it may be. Sending you so much love! What a beautifully written post, and so vulnerable. I know how much my body changes have challenged me during IVF so its comforting to know that others who too feel so passionate about body love and kindness still struggle as well. You’re beautiful my friend, and most importantly, strong AF! I really appreciated this post. 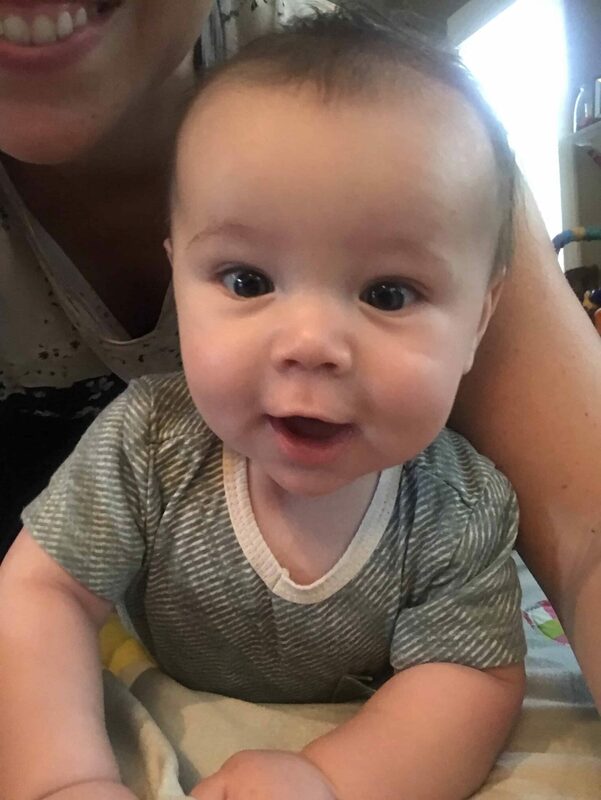 My baby is six months old and so a lot of your thoughts are mine as well. Given that she’s my 6th child, I have experience with this, but it’s still a challenge every time. It IS hard to see your body change so much, but I’ve learned from experience, that my body will get back to “normal” with time. 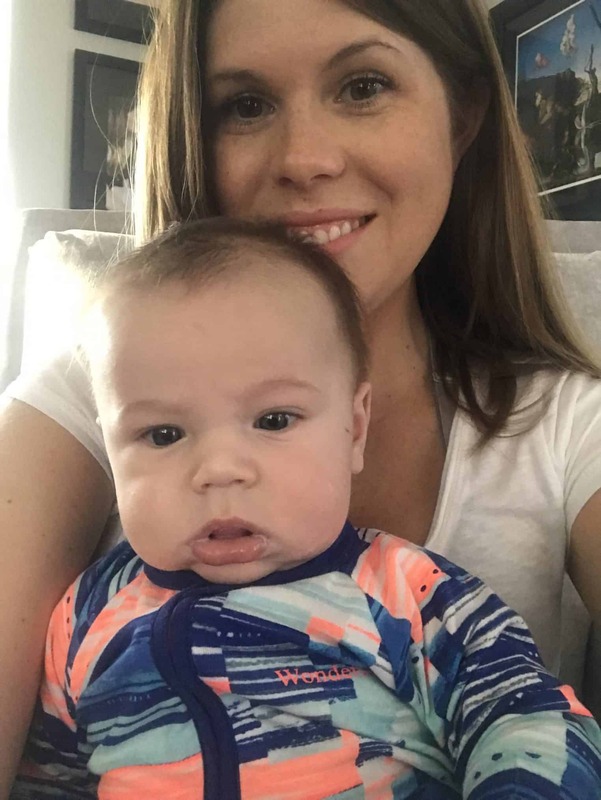 I have learned a few things, such as: 1-eating a plant-based diet really helps me lose the baby weight more quickly and have more energy and 2-I always hang on to about 10lbs while breastfeeding. I laughed about fitting into only maternity jeans, leggings, and big shirts, glad I’m not the only one! I try very hard to be patient with myself, knowing that losing the weight just takes time. Thanks for sharing your thoughts! Your baby is so adorable and I wish you & your family all the best! I love honest posts like this. I can imagine there are a lot of new moms going through the exact same thing. I respect that even as a Dietitian who practices intuitive eating and does not own a scale, you showed that sometimes you can lose track of what you believe in and what you know isn’t the right approach (i.e. working out for vanity/to lose weight)- showing that we are all imperfect and that this work is an everyday learning process. Bravo to you and I wish you the best of luck in this new journey of motherhood. Thanks so much for this vulnerable post that I relate to so so much. Throughout my pregnancy people felt the need to comment on my weight/size. Some would say I looked like I had a “big baby” and some would say I looked small. 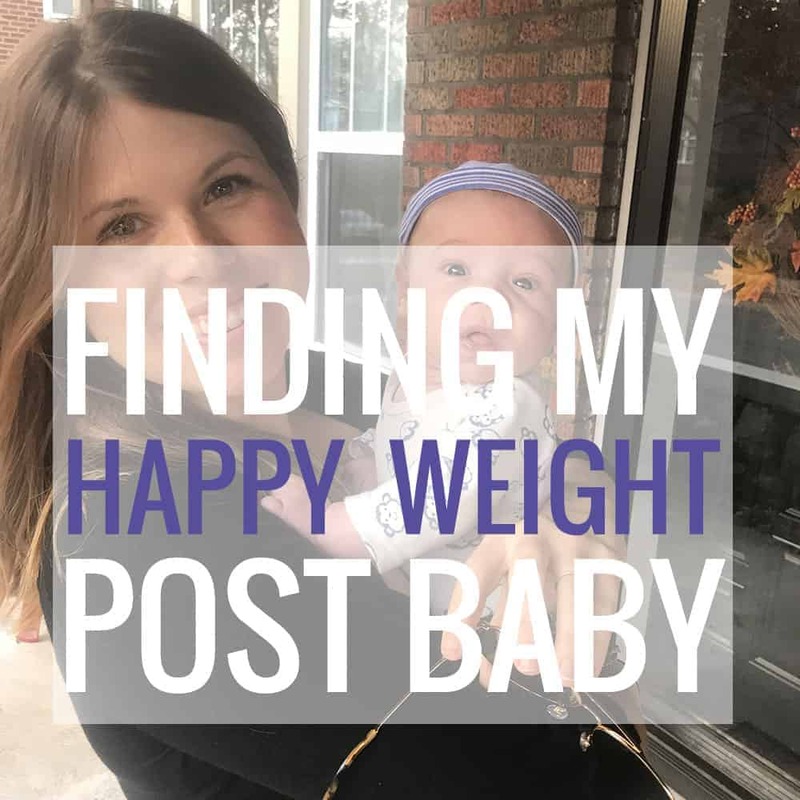 I learned to ignore the comments, eat intuitively, let the midwife worry about the weight, and trust that my body was doing what It needed to. Again, after I delivered I told myself I was going to eat intuitively and let my body do it’s thing. But after lots of sleepless nights and convenience foods, those concepts somewhat went out the window! Like you, I lived in stretchy pants and large tops for months. I quickly realized I had no other pants that fit! I even counted macros for a few days determined to slim down but soon realized that those behaviors make me crazy. So I decided again to eat whatever I wanted-which is usually healthful, Hearty, veggie rich meals because that is what makes my body feel good. I also squeeze in postnatal workouts during nap time for energy and strength not to “slim down”. Fast forward four months, I had decided to go through my closet and donate everything that no longer fit. To my surprise, I have a few pairs of pants that fit again. So my thought is I am probably pretty close to my former size (I avoid the scale). However, I really had to get to a place where I didn’t care anymore-I was willing to buy bigger clothes-because gosh I just wanted some pants that fit. Lastly, I have received a lot Of comments like “you are so tiny. You don’t look like you just had a baby”. And while I know the person commenting is intending to offer me a compliment, these type of statements make me uncomfortable. I in no way want to glorify “getting my body back” or “losing the baby weight”. Those concepts make my skin crawl. I know my body is forever changed and I have accepted this.p To these commenters I usually say “this is just how my body responded to the process”. Again thanks again for posting. We are close in our postnatal time line and reading your similar experiences makes me feel human. I also loved being pregnant, and dressing my pregnant body. I hated my post-partum body, and struggled with it mightily. four months ago, not 48 hours after my son turned 2, I was diagnosed with stage IV breast cancer. My treatments caused me to go into immediate menopause and caused a nearly overnight 15 lb weight gain (in addition to the baby weight that never came off). I say this not for sympathy, but because dressing ourselves for a new season of life is HARD. It’s hard to say goodbye to the clothes we loved, because it feels like we lose a part of ourselves. The thing that is helping me so much is to honor the body I have, the body that is a fighter, and find clothes that fit her properly, and let me feel confident and comfortable where i am now, not where I wish I was. I have found great luck through stitch fix to add some unique pieces in my wardrobe, thred up when i don’t want to spend a lot of money, and H&M and old navy for basics. It’s a mourning process for sure as you make massive life changes, but finding a place where you feel strong, beautiful, and confident is a truly incredible gift to give yourself. I turned 50 last year. My older two sons moved out in January. I’m heading towards menopause. Ten years ago I was an avid exerciser. I walked regularly and strength trained 3 days/week. Then, divorce happened. I fell off the wagon, so to speak and just could never get my mindset back into the game. As a result, I have gained about 10 pounds over the last 10 years; and have become flabby and out of shape. I’m trying really really hard. There are SO many things I WANT to do to get myself back. I figured out I was trying too hard and focusing on too many things at once. My first goal is to get my diet back in check. I consider myself a “flexitarian”, so your website appealed to me immediately. 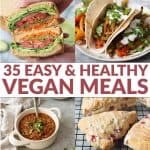 My daughter is vegan, so It’s forced me into looking into more plant-based recipes. I do believe it is a much healthier way to eat! Thanks for writing this. I think it applies to a lot of women out there! Hi Ranae, thanks so much for stopping by! 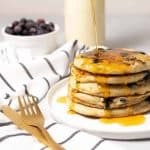 I’ve got hundreds and hundreds of recipes, hopefully you find at least a few that you enjoy! I think you hit the nail on the head- it can be overwhelming to focus on so many things at once; I like starting with diet first- I think it gives the most “bang for your buck” when it comes to energy, nutrition, weight, ect.